Edmund Burke, long considered modern conservatism’s founding father, is also widely believed to be an opponent of empire. However, Daniel O’Neill turns that latter belief on its head. This fresh and innovative book shows that Burke was a passionate supporter and staunch defender of the British Empire in the eighteenth century, whether in the New World, India, or Ireland. Moreover—and against a growing body of contemporary scholarship that rejects the very notion that Burke was an exemplar of conservatism—O’Neill demonstrates that Burke’s defense of empire was in fact ideologically consistent with his conservative opposition to the French Revolution. Burke’s logic of empire relied on two opposing but complementary theoretical strategies: Ornamentalism, which stressed cultural similarities between “civilized” societies, as he understood them, and Orientalism, which stressed the putative cultural differences distinguishing “savage” societies from their “civilized” counterparts. 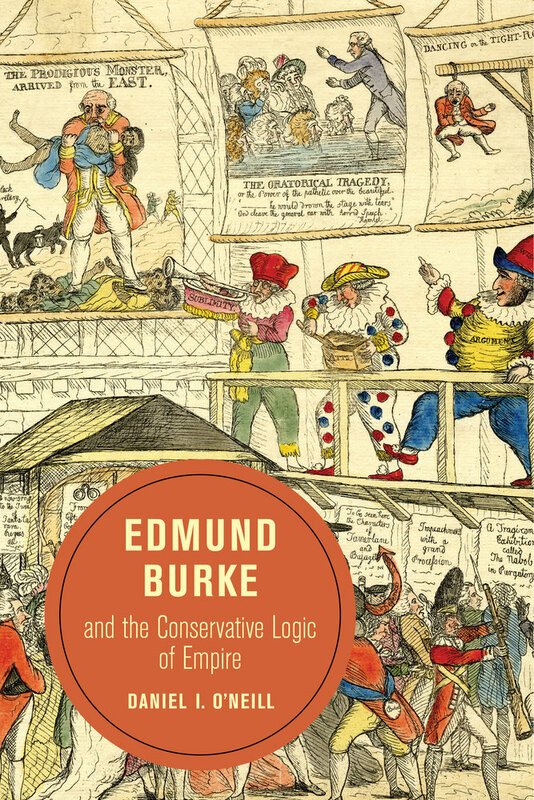 This incisive book also shows that Burke’s argument had lasting implications, as his development of these two justifications for empire prefigured later intellectual defenses of British imperialism. Daniel I. O’Neill is Associate Professor of Political Science at the University of Florida. He is the author of The Burke-Wollstonecraft Debate: Savagery, Civilization, and Democracy.